Snow, sleet and ice: winter is truly here. There has been little choice but to turn up the heating this past week, or keep it on for longer. If you’re worried about how your heating bill is stacking up, we’ve rounded up the cheapest gas and electricity deals for the month to help you keep your costs in check. The most you can save with this month’s deals, as a medium user, is £163 per year. That’s presuming you’re on a standard or default tariff that costs the maximum permitted under the government’s price cap (£1,137 a year for a medium user) and switch to the cheapest deal on the market. If you’ve chosen a different kind of tariff, you can still save – and potentially far more. The priciest deal on sale now costs £1,386 per year: a massive £412 per year more than the cheapest deal available. Large families, spacious homes or those who need to use a lot of heating can find themselves facing even greater costs. So we’ve also included the top five cheapest deals for high energy users. Read on to see the cheapest five tariffs. Or compare gas and electricity prices straightaway using Which? Switch to find the best energy deal for you. February’s cheapest energy deals are a guide to what you could be spending in a year on gas and electricity. They’re based on someone who uses a medium amount of energy. Your exact spend will depend on how much gas and electricity your home uses. We’ve only included tariffs that are available across England, Scotland and Wales. 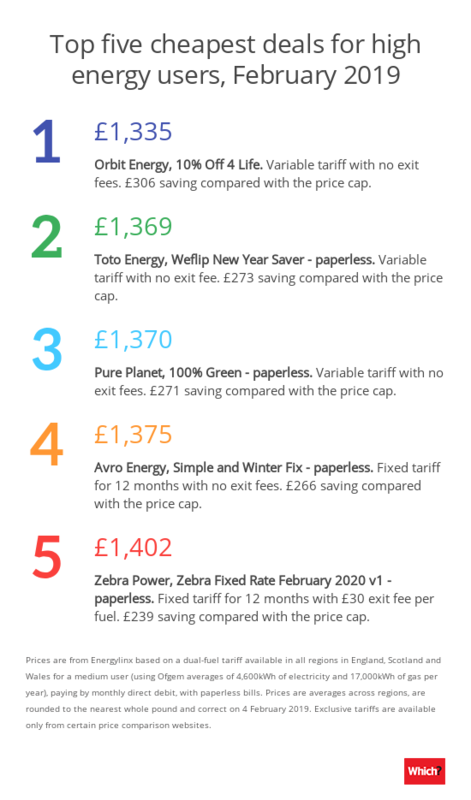 We’ve listed the annual price of each tariff below, plus how much it would save a medium user compared with the price cap. We’ve used the price cap as a comparison, rather than individual companies’ prices, because many are charging customers on their standard or default tariffs the maximum permitted under the price cap. See the best and worst energy companies, according to their customers. The cheapest deal available across Great Britain this month is from small supplier Orbit Energy. It claims that customers who sign up to its 10% Off 4 Life tariff are guaranteed to pay 10% less than the government’s price cap on standard or default tariffs. Although it offers the biggest savings compared with the price cap now, you could end up facing a price increase in a month. That’s because this is a variable tariff – so the company can change its rates – and the government is expected to increase the level of the price cap in a few days’ time. Toto and Pure Planet’s tariffs are also variable deals, so they can change the prices after you sign up. Avro Energy and Outfox the Market’s tariffs listed above are fixed deals. This means that the rates you pay for each ‘unit’ of gas or electricity you use won’t change for the length of your contract. Your overall bill still depends on how much you use. If you spot a cheaper deal, you can switch penalty-free from Avro; it isn’t charging exit fees. But Outfox the Market will charge you £50 per fuel if you want to leave before the end of the nine month deal. Read more about getting the best energy deal. The cheapest deals can be different depending on how much energy you use. This is because companies structure their tariffs differently. Some charge more upfront each day and less for the amount of gas and electricity you use, while others do the opposite. 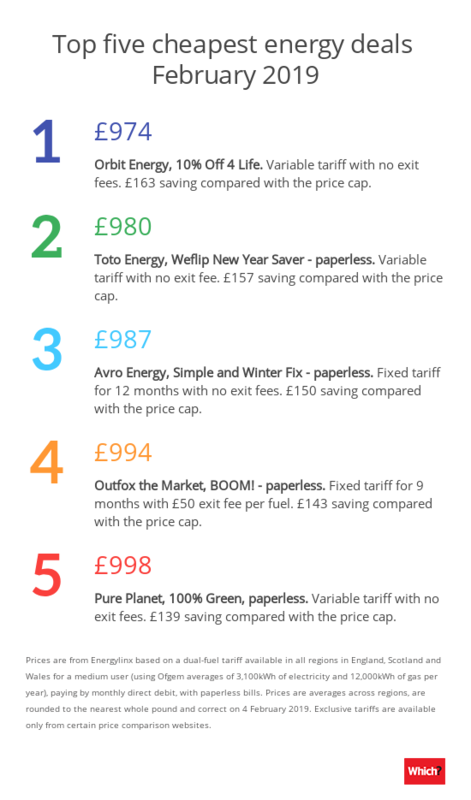 As with the medium user tariffs above, we’ve listed the annual cost of each deal, and the saving you’d make compared with the price cap. This varies depending on how much energy you use and so is higher for homes which use more energy. 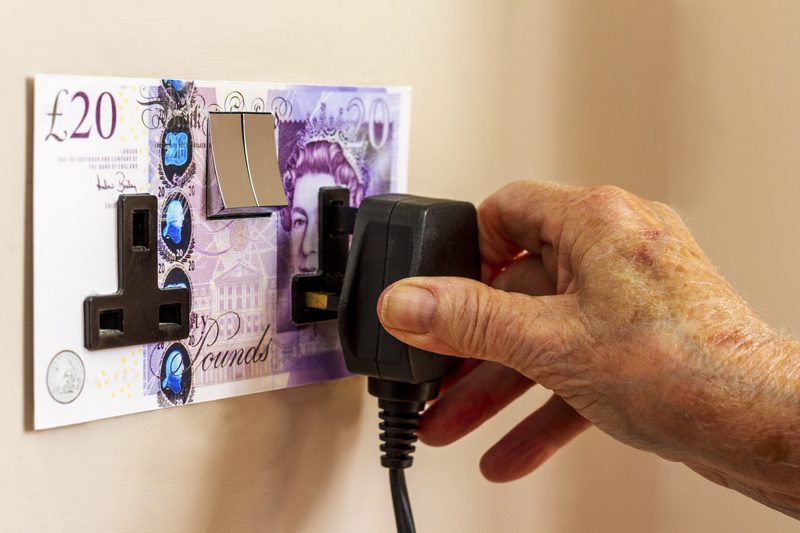 Switching from a tariff charging the maximum under the price cap – as many companies are doing – to one of these deals would save you at least £239 per year. The cheapest could save you more than £300 per year. Only one of them charges exit fees if you find a cheaper deal and want to switch before the end of your contract. That’s Zebra Power, at a cost of £30 per fuel. If you receive the Warm Home Discount, check if your chosen supplier will pay this before you switch. The bigger companies have to pay it, while some smaller companies choose to. 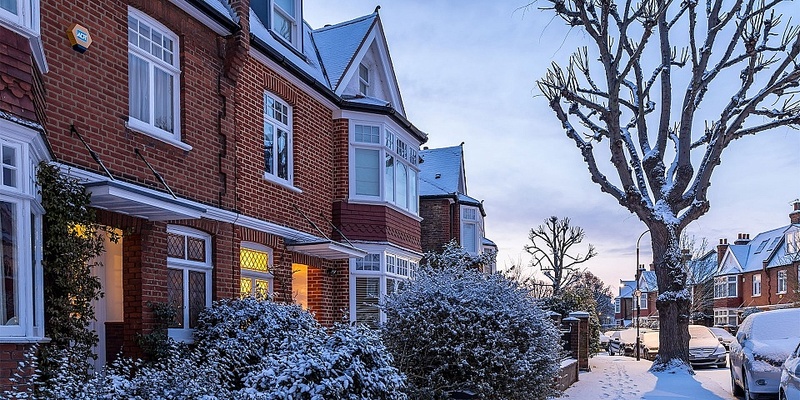 Find out which energy firms pay the Warm Home Discount. 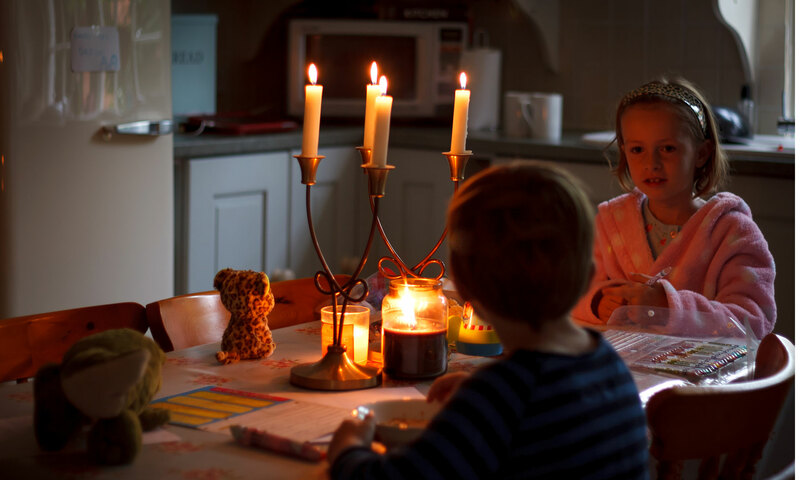 Energy usage is based on Ofgem’s annual average figures for a medium user (12,000kWh gas and 3,100kWh electricity) and high user (17,000kWh gas and 4,600kWh electricity). Data is from Energylinx. Prices given are averages across regions, are rounded to the nearest whole pound and correct on 4 February 2019.